A few months ago I won the Sacred Beauty world cup inspired makeup competition and the Foreo Luna Mini was included in my massive goody bag. I started using this device in October and I decided its time for a review. Sweden - based FOREO is taking the beauty industry by storm with this iconic new range of skincare devices. Through multidisciplinary collaboration between topflight specialists at the FOREO Institute, we have developed revolutionary solutions that surpass the cosmetic, providing a smarter and more effective way to care for your skin. FOREO is here to revolutionize the beauty industry with a simple promise - to give a new- found confidence to millions, through innovative skincare that works. It is a cleaning device... Ok, hold up, I am not in any hurry so I am going to break it down. 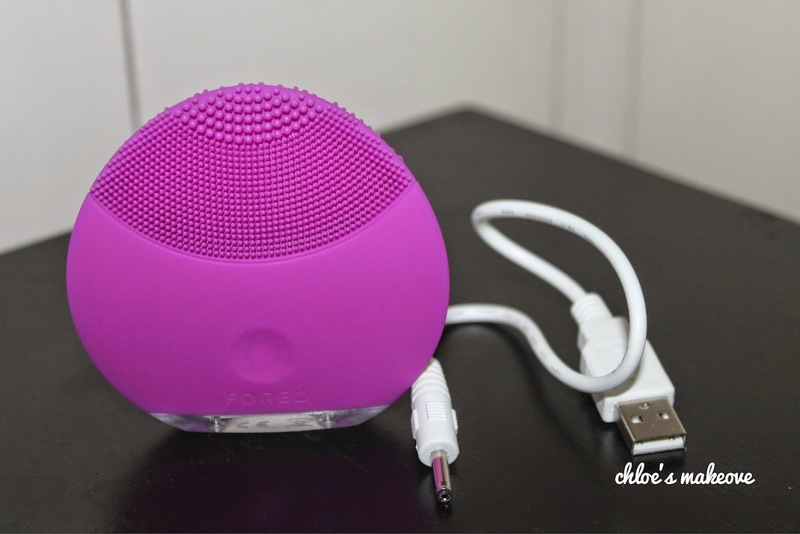 According to Foreo, the Luna Mini is a seriously stylish device, a revolutionary new skincare concept, the world's first T-Sonic facial cleansing brush that gives a deeper and gentler clean in just 1 minute. By channeling Transdermal sonic pulsations across the skin's surface through silicone touch-points, the LUNA MINI cleanses pores of impurities to reduce the causes of blemishes, while refining the complexion for visibly brighter and healthier -looking skin in just 3 days! The Foreo Luna Mini is a non-abrasive, triple-zone silicone brush which has 1,300 smooth silicone touch-points that are arranged to help you cleanse different areas of your face : including those that are prone to oily buildups or others that require gentler cleansing. Nonporous , the LUNA MINI promises a more hygienic solution than standard sonic brushes, while the deep yet gentle cleansing will feel like you are getting a mini-facial, every day of the week. Men are not left out of this, with just 1 minute of use, the Foreo LUNA for MEN conditions the skin for a closer, smoother and more comfortable shave, while preventing razor bumps and other forms of irritation. With it's smart compact design, the LUNA MINI is fully rechargeable for up to 300 uses from a single USB charge, so it's perfect to take on the go. This device is completely waterproof, that means you can even use it in the shower, plus there is no need to replace the brush heads. With a 2-Year limited warranty, there is so much reason to invest in your skin. 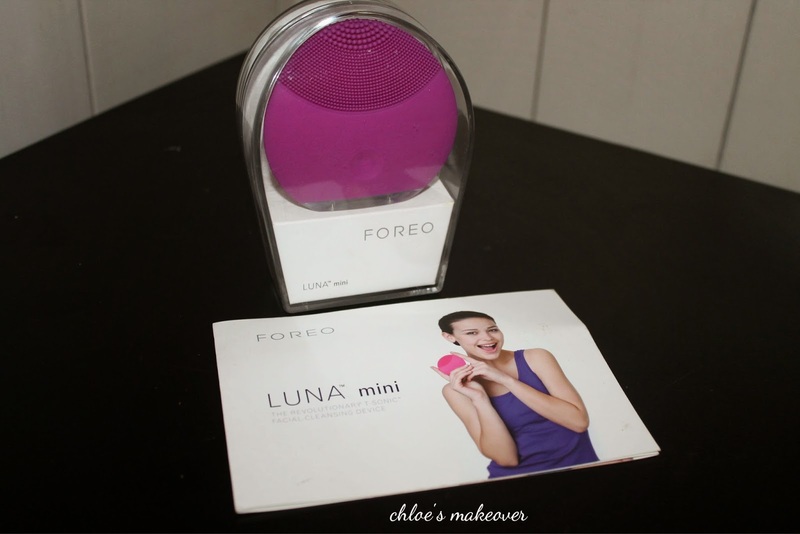 How to use FOREO LUNA MINI. After taking off my makeup with baby wipes, I apply a cleanser on my face. I have used Clean and Clear Deep Cleanser and Sleek Come Clean Gentle Cleansing Foam as cleansers but currently I use Black Soap as my cleanser. Avoid using cleansers with abrasive particles as this may damage the silicone touch points. Next, rinse the device and press the button in front once to turn on the device and resume cleansing. It has 2 speed levels; press once and you get the high speed , press again and you get a slower speed, and press one more and the device is turned off. The LUNA MINI runs for one minute , which can really make a difference to your skin. The cycle has 4 phases of 15seconds per phase : cheeks & chin, forehead, nose , and under eye area. Once you press the button , the device is ready to work, using gentle upwards and outwards strokes massage the face and when the first phase is up the device will pause for a second and the transparent base of the device will flash, indicating it's time to move to another section of the face. Ideally, the LUNA MINI shouldn't work for more than 3 minutes at a stretch. Once you have covered all areas of the face, rinse the device and turn it off then allow to dry before next use. For best results, use morning and night. Incase you didn't read above what FOREO says about LUNA MINI, please take the time to do so, as my personal thoughts already covers everything I just typed. There are no words to describe it, but the LUNA MINI is beyond amaaaazing! I love it, I love it, I love it. It does everything it says it would do. 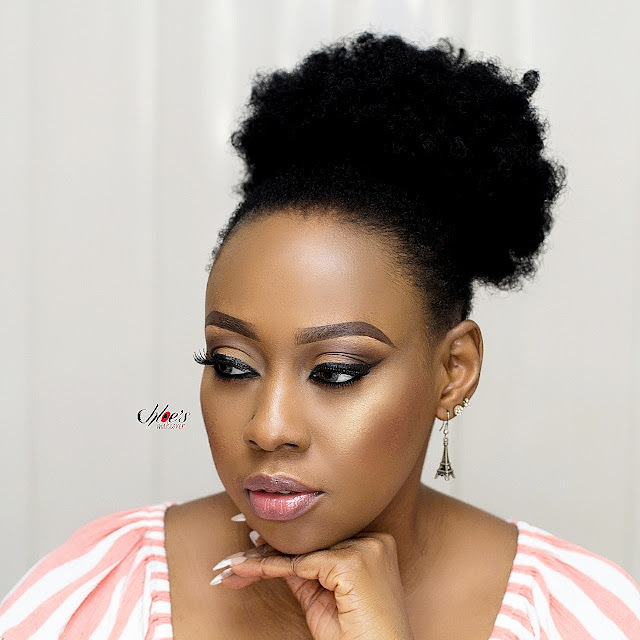 I took a very good look at Lola Maja's face on 9th of October at the Beauty Africa Conference, and I was woow-ed to say the least. That lady has a wonderful skin ehnnn, very lush!!! She had no makeup on, just her eyebrows done. As she passed round a sample of LUNA MINI, I said to myself: It's time to up my skincare routine. I Started using mine that very night, and the result has been wonderful. My face is alot smoother, softer, brighter and clearer than it was before. I use the low speed on my face, and I love how gentle it feels yet very effective. 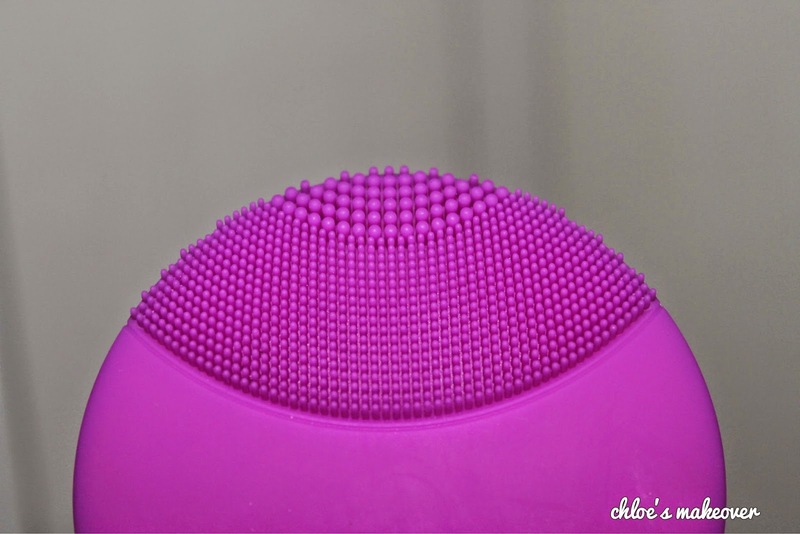 I also love the vibrating feel it gives as it helps my face muscles to relax. I use it twice a day and my skin feels really beautiful giving me so much confidence to leave my house without makeup. Since October I started using it, I haven't recharged it at all, the battery sure does last. As you may have noticed, my "Look of the Day" posts is not as regular, simply because I hardly wear makeup these days. 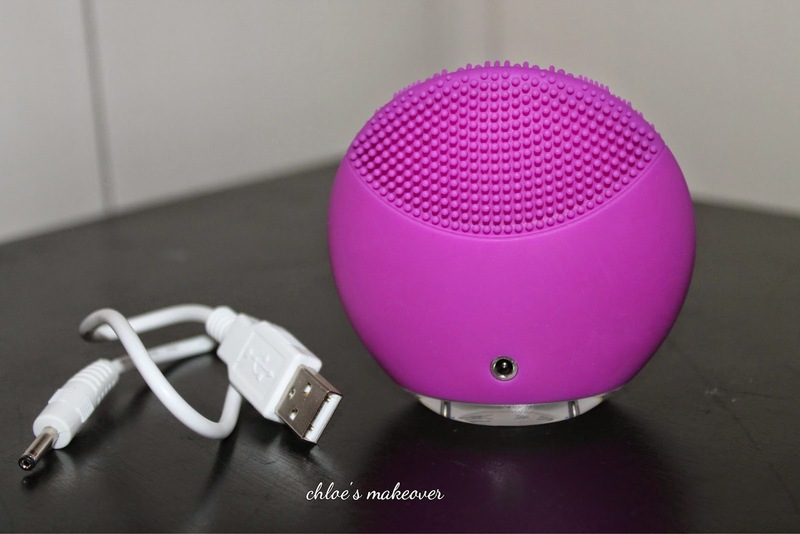 The FOREO LUNA MINI is a serious investment but the benefits over weigh the cost and if you do love beautiful skin, then you should invest in it. 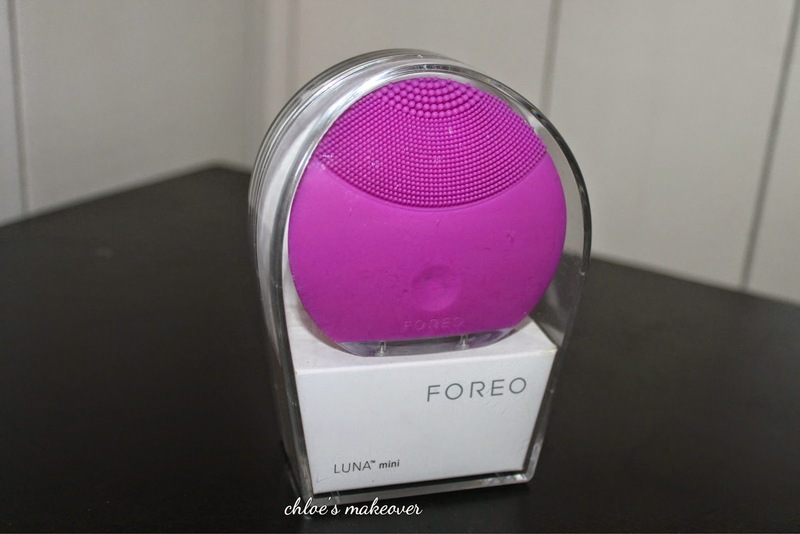 I always look forward to my cleansing routine, that's the feeling I get with my FOREO LUNA MINI. 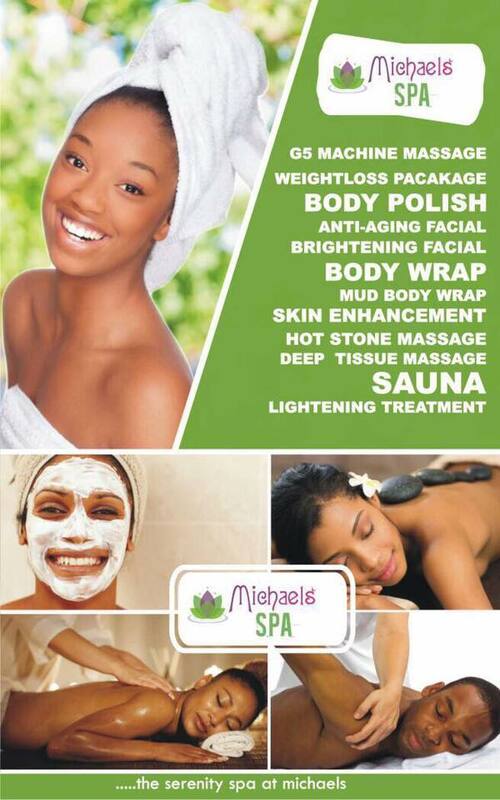 The Sacred Place; L'Espace, 19 Olosa Street, Victoria Island, Lagos. So smart , so simple, beautiful skin, confident you. I would say invest in your skin, this is worth every penny spent! Lovely review. Lola's face is so spotless. I totally agree with u. Now I've gat to have this baby. Cheers nice one. Very nice review, will look into it.